Earlier this year, we were in Glasgow, Scotland at the Kelvingrove Museum. In one of the upstairs rooms, I remember being captivated by an antique orrery, a mechanical model of the solar system. Built by a Scottish cobbler in 1833, the orrery has 200 moving parts and simulates the movement of the planets as they were known in the 19th century. I lingered near the exhibit for a long time, taking photos of it before moving on. 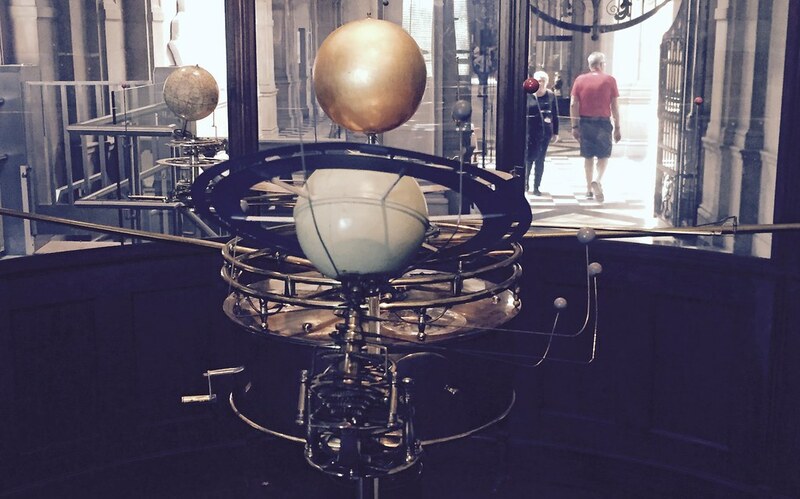 Now, seven months later, on the very last night of the year, I find myself thinking about the orrery again. Like the brass gears moving miniature planets in neat, circular orbits, the year 2017 has taken me full circle — both physically and mentally. Some things haven’t changed. I’m still struggling to find the time and motivation to write. Blog topics come infrequently. The novel manuscript I planned to complete this year stalled out. My stage play was rejected from every festival I submitted to. And yet, some things are radically different. I took a chance and applied for a new job where I work. I stood on the sacred Isle of Iona and sat among ruins a thousand years old. I watched the Moon nearly blot out the Sun. I rode a cable car in San Francisco and hiked to an emerald green pool in Zion Canyon. I finished a short story that’s plagued me for five years and got it published in Creative Colloquy Volume 4. I’ve spent lazy summer afternoons reading with my soulmate, baked a blackberry pie from scratch and seen many of my closest friends — even those living four states away. Our lives are made up of these little cycles. Days. Weeks. Months. Seasons. Orbits around the Sun. Much of it is repetition. We wake, we eat, we go to work, we sleep and we repeat the process. It’s not all bad. Habits help ground us. And without the mundane, how could we recognize the extraordinary? If it wasn’t for all of the overcast days, I probably wouldn’t take so much pleasure in a beautiful, sunny day. Here, on the cusp of the new year, I look forward to coming full circle in 2018 and seeing the brilliance among the ordinary. I hope you see it, too. Jonny Eberle is a writer and traveler based in Tacoma, WA. His latest short story, The Disappeared, appears in Creative Colloquy Vol. 4 and can be found at King’s Books in Tacoma. Follow him on Twitter and subscribe to his monthly newsletter for exclusive content and recommended reads. 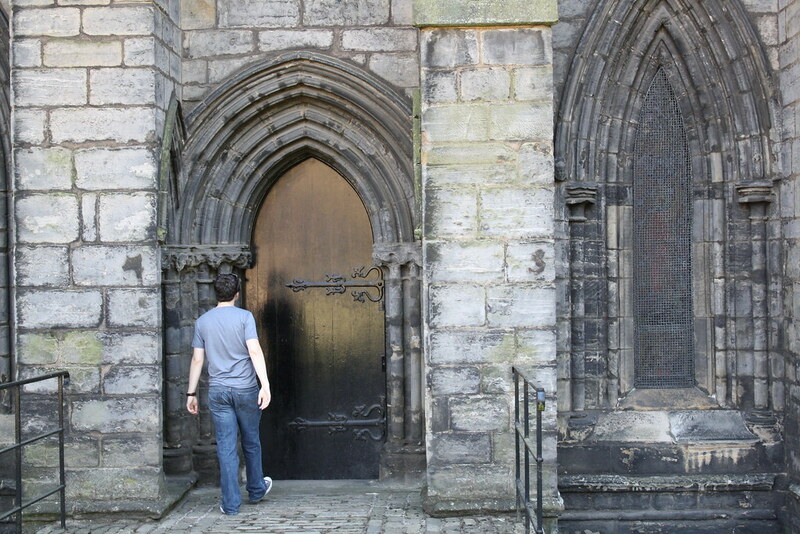 I stand in the doorway between two years. Behind me lies 2016, now in the past; ahead is 2017, still unknown. Like so many people, I am ready to put this year behind me, to slam the door and charge ahead without a thought to the past. The world is weary of 2016. This year brought so much strife and suffering into the world; so much anger and division. I long to hit the reset button and have a fresh start. That’s what the new year is all about, right? The celebration of the new year has a long history going back over four thousand years in many cultures around the world, and it has come to symbolize throwing off the burdens of the past and getting to start over. And yet, for the ancient Romans, I suspect that there was another layer to their year-end revels. The month Januarius was added to the Roman calendar in the 8th century B.C. by a guy named Numa Pompilius, if it wasn’t until Julius Caesar instituted his new Julian calendar in 46 B.C. that the New Year was moved to January 1. Previously, it had been at various points throughout spring and summer. By changing the date to the dead of winter, to the month of Januarius, it was linked to the Roman god Janus, the namesake of the month. Janus is an interesting god in the Roman pantheon. He is a god with two faces — one perpetually staring into the past and one forever fixed on the future. He is the god of doorways, thresholds and keys (it is from his name that we get the word “janitor.”). Unlike other gods that we straight up stolen from the Greeks, Janus is an invention of the city of the seven hills. And though kings and popes continually shifted the date of the new year during the next several hundred years, it eventually found its place back here at the beginning of January; in this dark, cold month when we so long for a reset. I think there’s something still poignant about that placement. There is a temptation to toss aside the shackles of the past, but we can’t pretend that the last 12 months didn’t happen. We can’t discount the chaos around the world nor our personal struggles. Now is a time, for me at least, to pause and reflect. 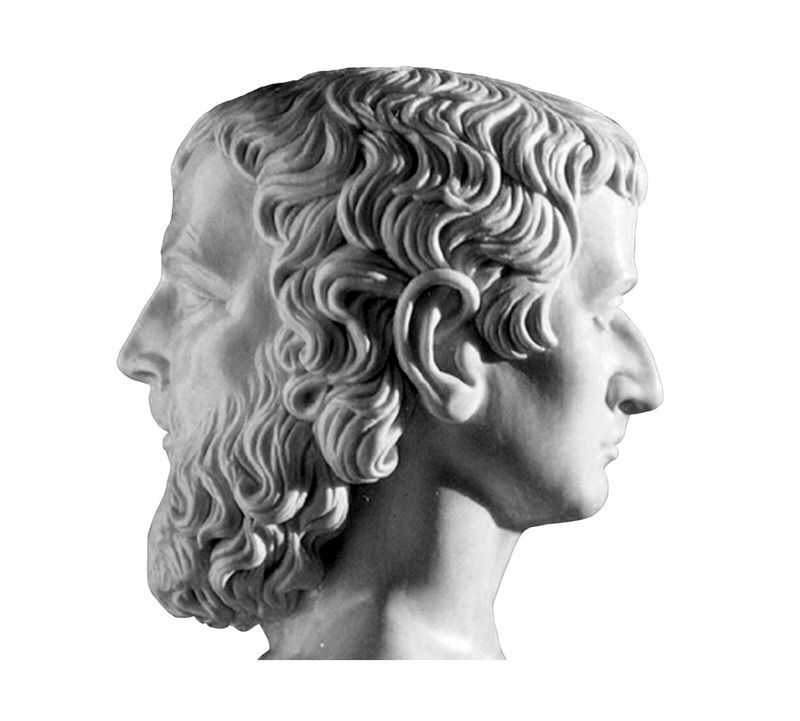 Today, I’m striving to embody Janus and set my sights on the future, while keeping an eye to the lessons of the past. Jonny Eberle is a writer in Tacoma, WA who tweets and secretly wonders if odd numbered years are better than even years. What are your hopes for 2017? The other day, my wife and I were hiking through Point Defiance when our conversation turned to the end of the world. If there was a major natural or man-made disaster, how would we survive? Would we be able to hunt the deer in the park? Or should we aim to steal a boat from the marina and make our way to her parents’ house on the other side of the bridge? I think we’ve all had these conversations — even if it’s only in our heads — where we’ve wondered whether we have what it takes to survive the end of the world. Apocalyptic fiction has a long history in the Western canon. Some of the earliest texts referencing a humanity-destroying calamity include a version of Noah’s Flood in the Epic of Gilgamesh in the third millennium B.C.E. and the Book of Revelation in the first century. Since WWII and the splitting of the atom, books exploring the collapse of civilization have been gaining in popularity. The Hunger Games Trilogy, a series set in a post-apocalyptic North America, has sold an estimated 36.5 million copies. As a society, we are fascinated — even obsessed — with every kind of apocalypse imaginable. In fiction, I’ve seen the Earth burned to a crisp by asteroids, decimated by the super flu, torn apart by nuclear warfare, eaten by zombies, and reduced to fighting over dwindling natural resources. In books, movies, and comics, we are drawn to dark portrayals of our own demise. Why? Does humanity have a death wish? I don’t think so. When I reread and rewatch my favorite apocalyptic books and movies, I don’t see pessimism. I see hope; hope for the future. I say that because apocalyptic texts seem to reach peak popularity in troubled times — times of war, economic strife, and civil unrest. When real life is bad, we project that into the art we create and I think we turn to end-of-the-world parables to remind ourselves that the world is not really coming to an end. They remind us that all is not lost. Not yet, at least. Intentionally or not, fables about the collapse of civilization as we know it are hopeful because they never count us out completely. I never read an apocalyptic tale that didn’t have survivors. No matter the calamity, there is always someone left standing. Those characters often embody the best qualities of humanity — determination, creativity, and compassion — and find a way to rebuild their lives. In each of these narratives, humankind picks up the pieces of the broken world. The human spirit cannot be extinguished, even at the end of the world. Life goes on in the face of insurmountable odds, despite the best efforts of zombies, super viruses and legions of alien invaders. If that isn’t a cause to hope for the future of our species, then I don’t know what is. Jonny Eberle is a writer, photographer, and filmmaker in Tacoma, WA. You can find him on Twitter, among other places, and you can sign up for his email newsletter here. Another year has come and gone, and with it’s time again for my fourth installment of my birthday resolutions blog. Instead of making traditional new year’s resolutions, I like to wait a week for my birthday and I use that first week of January to take a look at my life and decide what I want to do differently in the coming 365 days. This year, I started by looking at my previous blogs on the subject (Still a Work in Progress, the Best Birthday Resolutions Ever, the Birthday Resolutions Strike Back, and Return of the Birthday Resolutions). The thing that struck me about all of the resolutions that I’ve made before is how I utterly failed to accomplish most of them (with the exception of moving to a new town and getting married: check and check). I think it’s the same for most of us — we set a lofty goal and find we can’t live up to our own expectations. This year, I’ve decided to take a different direction. Instead of making several resolutions of various habits I’d like to break or form, I’m going to make one. Just one. This year, I want to focus on getting back to my roots; to the core of who I am and the people, places and activities that make me the person I am. I want to take this year, my twenty-sixth year, and re-center. I’m in a good place to do that — happily married, gainfully employed, settled for the moment — now is as good a time as any to figure myself out and what makes me tick. I’m not sure what it all means yet. And guess that’s exactly the point. Jonny Eberle is a writer and relentless self-examiner. He lives in Tacoma, WA. You can find his ramblings on Twitter. What are your resolutions for this year? Share them in the comments and let’s keep the conversation going. Sign up for his shiny, new mailing list for updates and special content straight to your inbox. In downtown Tacoma, tucked away between two buildings, is a sculpture of a drop suspended as it hits the surface of water. Tiles ripple out into the sidewalk. An 1891 newspaper quote about the city is written in cursive letters on the ground: “From amidst a sombre forest of firs a city has arisen as by a stroke of an enchanter’s wand. Tacoma looks forth like a new Venice over the glassy waters and prepares to handle the commerce of the world.” I first ran across this art installation a cool September night and I snapped a photo, because there was something about the quote that captured my attention. Now, I stand at the precipice of a new year. 2015 is fading away into memory and 2016 awaits, ready to be explored. In this moment, in the waning hours of another year, I find myself drawn back to what the Tacoma Ledger predicted for the City of Destiny almost 125 years ago. They looked to the future and saw nothing but endless promise. A transcontinental railroad was expected to build its western terminal in Tacoma and nothing but wealth and happiness for its citizens would soon come pouring in. In the end, the railroad changed its mind and the coveted Puget Sound terminus was instead built in Seattle. Tacoma never became the new Venice, as so many of our grand visions for the future fail to arrive. The future is always like that — simultaneously holding bounty and disappointment like a distant lamp — and you never know which one you’ll get until you get there. All we can do is hope that our successes will be great and our stumbles will be minor. Right now, on New Year’s Eve, I’m not worried about the misfortunes that I will surely endure. From amidst a somber forest of firs, I look forth. 2016 awaits. Let’s do it. Jonny Eberle is a writer in Tacoma, WA. He wishes you a happy new year. You can follow him in the new year on Twitter. When Stephanie and I Skyped with one of the two pastors who will be officiating our wedding, we hadn’t given much thought to the ceremony. After nearly nine months of planning every other detail of the reception and the honeymoon, our ceremony was still an empty shell waiting for substance. So, when he asked us, “What do you have in mind?” we didn’t have much to tell him. Which is strange, because the ceremony is the most word-heavy part of the wedding day and I’m a writer. Perhaps that’s what was so intimidating about it. Choosing the food or where the dance floor will be are important details, but they don’t feel as important as the ceremony. It’s the central moment of the celebration; the point at which we will be joined in marriage. That’s big. We both want it to be just right and so it got put off over and over again in favor of other details. For me, the ceremony is important not just because it is an important ritual. Words have power. To string the right words together in the right sequence is as close to magic as the human race is capable of. 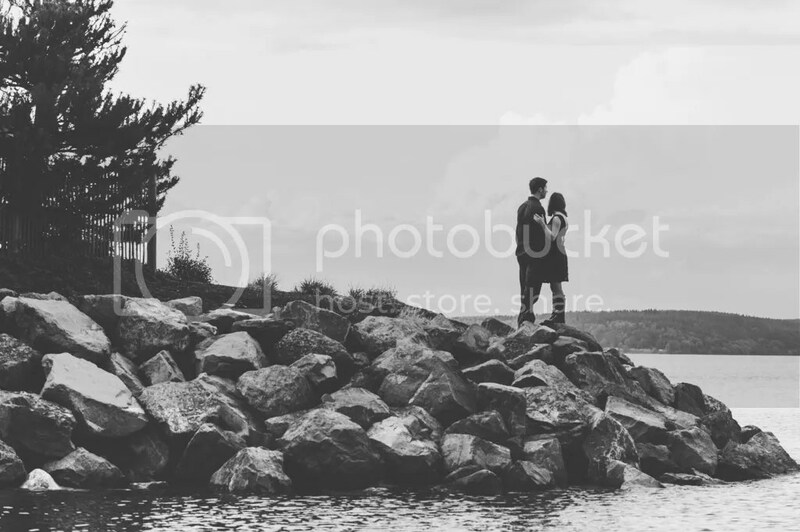 The perfect words can provide a solid foundation on which to begin a marriage. We didn’t want to put any words on paper until they were the perfect ones. Perhaps sensing that we were spinning our wheels, our pastor advised us not to search for perfection, but instead to make it personal. We didn’t need grand declarations of love or polished prose. We needed to find words that were meaningful to us — words that captured in tiny details our love and our commitments to each other. Instead of saying that I love Stephanie, I may instead say that I love the way she sips at a cup of tea that’s too hot because she doesn’t want to wait for it to cool off. We don’t yet have a finished ceremony, but we are making progress. The words are falling into place. It won’t be the perfect ceremony. It will be so much better, because it will be ours. The readings and vows will reflect our quirks, our humor and our imperfections. That’s good advice for any writer. Don’t make it perfect. Make it personal. Jonny Eberle is a writer and soon-to-be-married-person in Tacoma, WA. You can follow his ramblings here and on Twitter. His latest short story, The Cannibals of Kitsap, is available to read at Creative Colloquy. Three years ago, I wrote a blog about my personal tradition — instead of making New Year’s resolutions, I wait nine days to reflect and then I make birthday resolutions. I got a lot of great feedback, so I’m doing it again this year. Brace yourselves for the triumphant return of the birthday resolutions! Seeing as this is my 25th trip around the sun, it also felt like an appropriate time for a quarterlife crisis. You know, the kind of crisis where you realize that Mary Shelley wrote Frankenstein when she was only 17 years old. To help calm these old, old nerves, this year’s resolutions serve two purposes — to guide this year and to also reflect how far I’ve come as a human being in progress. I asked Stephanie to marry me this past summer and our wedding date is fast approaching. As we nail down the details (What kind of cake are we serving? What color ties will the groomsmen wear? What sized dance floor will fit on the pickleball court? What is pickleball??? ), I resolve to enjoy the process of being engaged. I want to soak in the stress and also the moments where we lay the foundations of the rest of our lives. We have years and years ahead of us to be married; we only get to be engaged once. My life has been radically changed these last six months. With a new job, a new house and a whole new laundry list of things I have to do. Often, that pushes my creative projects off to the side. I don’t want to lose sight of writing, filmmaking and photography. They are part of who I am. After getting my first short story published in 2014, I want to keep up that momentum into this new year. Short stories, novellas, short films, maybe even a novel manuscript. We’ll see where this path takes me. Everything is happening so fast all around me. It seems like just yesterday I was I writing the first script for Obscure Studios, my film company, but in reality 10 years have gone by. I’m 25 now and it feels like time is moving faster and faster. I don’t want to waste any of that time. I want to savor it — the good times and the bad. I don’t want to live my whole life as a cheetah. 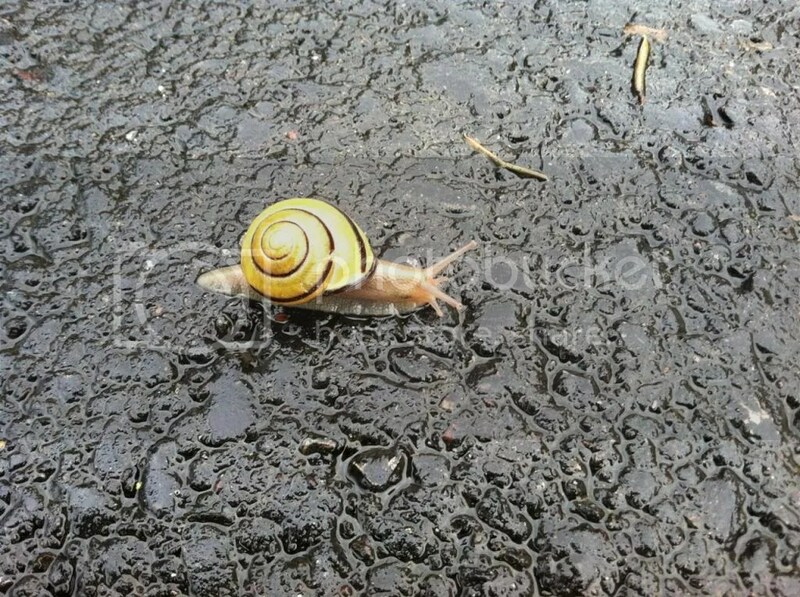 I’d prefer to be the snail. I’m in no hurry to get anywhere (but I am going somewhere). My style is slow and steady. What are your resolutions for the coming year? I’d love to hear them in the comments. Thanks for reading! Jonny Eberle is a writer and super old person in Tacoma, WA. When he’s not busy balancing his work, home, and creative lives, you can usually find him renting a car or getting cheaper auto insurance. He also likes Twitter.